You would be amazed at how you can use personality testing to advance your business and your personal life. Personality testing is used in a huge range of business activities. Recruitment is a common application, where employers use it to identify the personality they are looking for and then to gauge which candidates have a relevant personality type. Put the right people in the right job and everyone is a winner. And what will determine this more than anything is personality. You have to match personality to the work environment. You have to consider the existing team and figure out how a new person will fit in with that team. Some personality types will fit better than others. If you think about where it has gone wrong in the past, you will reflect that is is usually human stuff that goes wrong. Where you see a breakdown in communication or where one party simply felt misunderstood or unappreciated by the other. It’s people that build businesses and therefore we need to understand the psychology of people if we are to get the very best from them. These kind of assessments can help speed things up and move things forward. Personality testing can be used in team building. Most problems arise when there is a lack of understanding of self and others. Self awareness is very low in the western business world, which means we are unaware as to how we are affecting the behaviour of others. Develop a deeper understanding of self and others and you can build more productive teams; where people get on and work together more productively. Without the deep understanding that is provided by personality testing it is almost impossible to build excellent teams. How you get along with yourself and others is an important measure of your success and happiness in life. Personality testing can help you understand what makes you tick and therefore what you are happy or why you are sad. It’s easy to see it as being all down to the circumstances but actually how we react to circumstances is a personality issue so without an understanding of our psyche then we are at the mercy of the circumstances the world throws at us. With an understanding of our personality however, then we can enjoy life no matter what it is throwing at us. 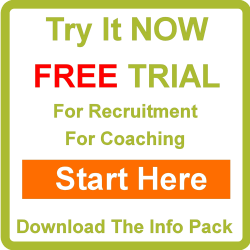 You can read more about how to use a personality type in recruitment here. This has been an article about personality testing.